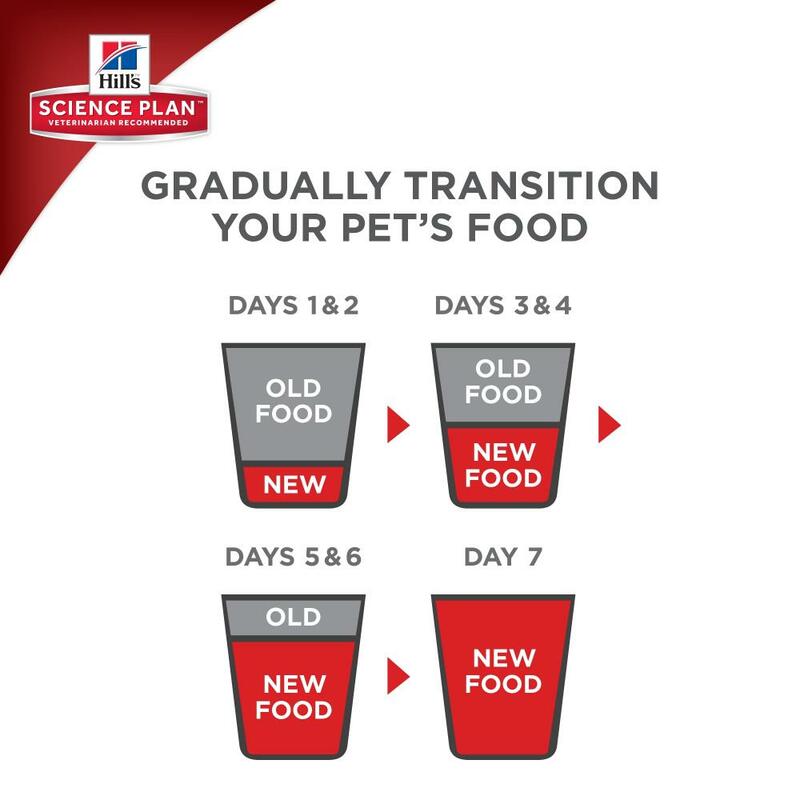 Hill's™ Science Plan™ Feline Mature Adult 7+ Active Longevity™ with Chicken / Ocean Fish is a range of wet and dry foods for older cats (7 years or over). It has been specifically formulated to suit the needs of older cats whose demands are significantly different to those of younger cats. It has been developed to help to maintain healthy kidney and vital organ functions. Kidneys are supported with antioxidant vitamins E & C. As metabolism is often slower in older cats, the food only contains highly digestible ingredients which are gentle on the stomach and encourage nutrient absorption. Vital organs are help with adapted mineral levels. All Science Plan foods contain a combination of 50 nutrients and a clinically proven blend of antioxidants to boost your cat's immune system and help to maintain health and vitality. Each multipack contains 6 chicken and 6 ocean fish pouches. Chicken (minimum 30%): Chicken, wheat flour, turkey, pork, calcium sulphate, cellulose, DL-methionine, vegetable oil, taurine, vitamins and trace elements. Ocean Fish (minimum 4%): Chicken, pork, wheat flour, salmon, calcium sulphate, cellulose, DL-methionine, vegetable oil, taurine, vitamins and trace elements. 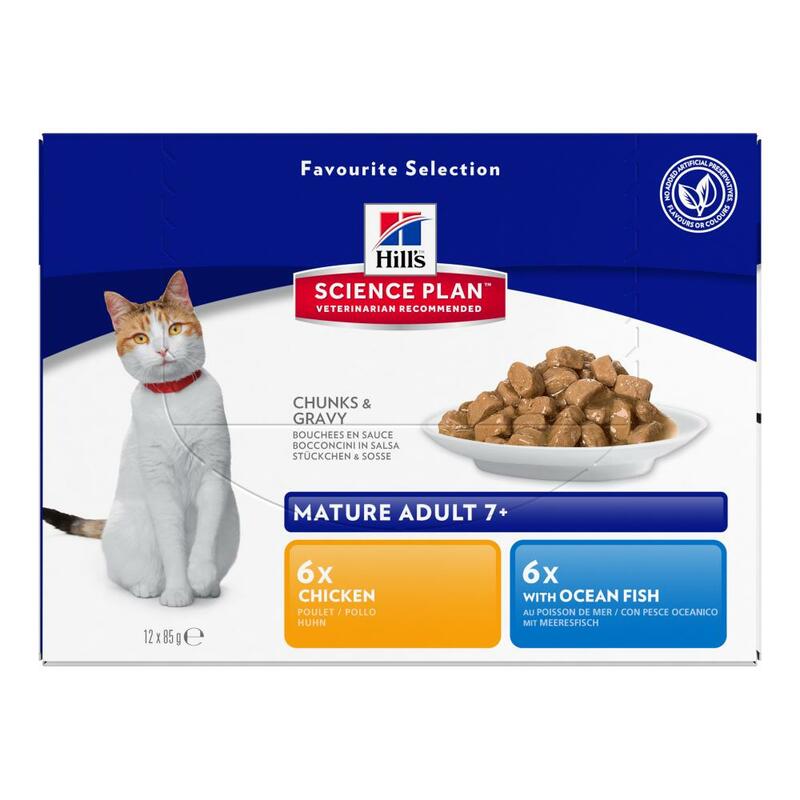 There are currently no questions for Hills Science Plan Mature Adult 7+ Chicken Fish Cat Food - be the first to ask one!